Isaiah Estep, a senior automotive technology student from Fairborn, begins the process of replacing the water pump on a BMW crossover. Katelynn Hawkins and Maria Morgret work on an ice-breaking exercise during their second day in the health science program Aug. 16 at Greene County Career Center. Submitted photo Electrical wiring & motor controls teacher Bob Keller explains ladder safety to his newest class of future electricians. The program is at capacity. XENIA — Greene County Career Center’s school year opened Aug. 15 with nearly 400 new students attending as members of the class of 2020. School administration reports that the rise in enrollment follows a national trend as more families of high school students see the value of career-technical education and the opportunities it provides students who seek more career-focused instruction. With plans for expansion and a new facility being discussed, they said excitement is high at the school among staff and students. “We’re off to a good start,” said Isaiah Estep, a senior from Fairborn enrolled in automotive technology whose career goal is to work as an engineer in the automotive manufacturing industry. Estep cited GCCC’s hands-on opportunities, caring teaching staff and the ability to strengthen his soft skills as reasons the school holds such value. Maria Morgret is a first-year student from Xenia in the health science academy who aspires to enter the nursing profession. GCCC currently offers 17 career-technical programs at its main campus in Xenia Township including two housed at the Agricultural Research Center that help strengthen the local workforce and keep the economy strong throughout the region. https://www.xeniagazette.com/wp-content/uploads/sites/32/2018/08/web1_GCCC1.jpgIsaiah Estep, a senior automotive technology student from Fairborn, begins the process of replacing the water pump on a BMW crossover. 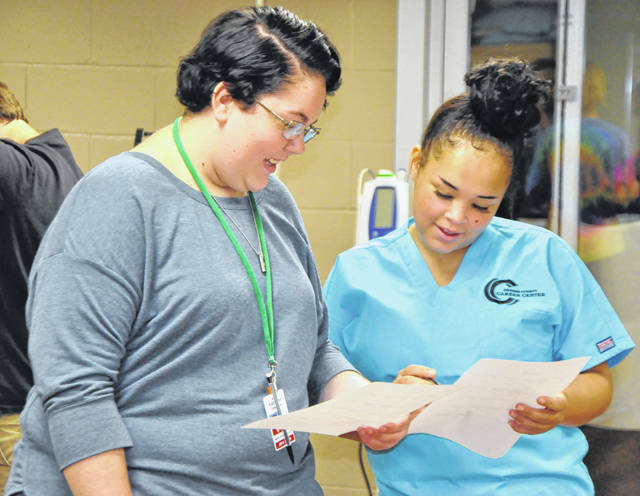 https://www.xeniagazette.com/wp-content/uploads/sites/32/2018/08/web1_GCCC2.jpgKatelynn Hawkins and Maria Morgret work on an ice-breaking exercise during their second day in the health science program Aug. 16 at Greene County Career Center. 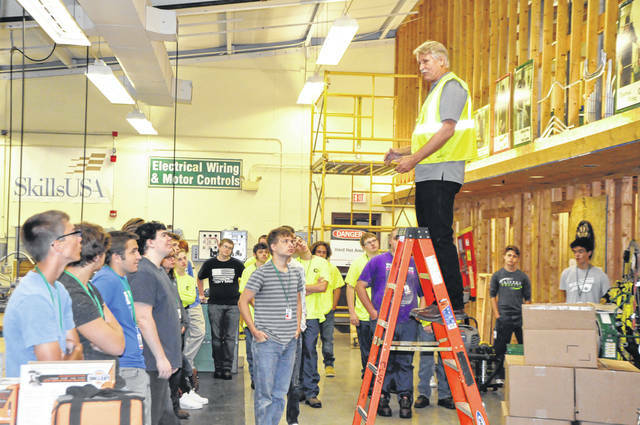 https://www.xeniagazette.com/wp-content/uploads/sites/32/2018/08/web1_LadderSafety.jpgSubmitted photo Electrical wiring & motor controls teacher Bob Keller explains ladder safety to his newest class of future electricians. The program is at capacity.